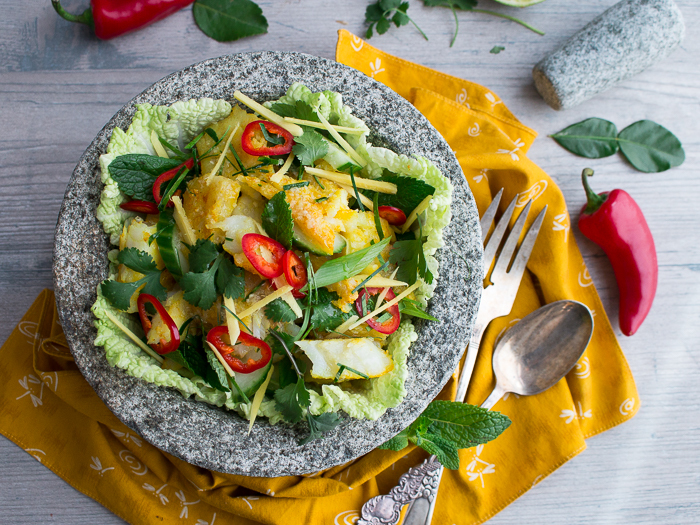 Authentic Thai Fish Salad is an explosion of flavor with grilled turmeric whitefish, fresh cilantro, mint leaves, vegetables, chilis, lemongrass, ginger and other spices for one delicious Thai meal. Healthy World Magazine, thanks to our sweet hostess JinJoo of Kimchimari.com, has teamed up with a group of very talented recipe website influencers to bring you a round up of "THE BEST ASIAN SALAD FEAST PARTY....EVER!" Be sure to read on to the end, to check out the recipes. A special thank you to Christine from Vermillion Roots for coordinating. 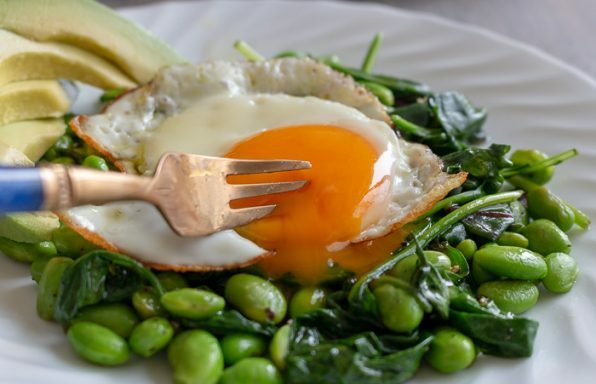 Are you bored with the same salad routine? 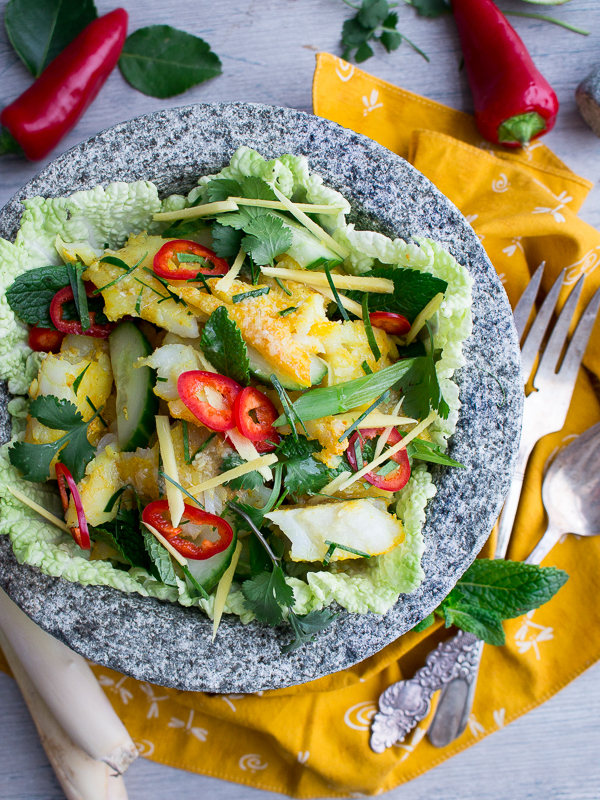 Try our Authentic Thai Fish Salad for a new and exciting salad that breaks all the rules. 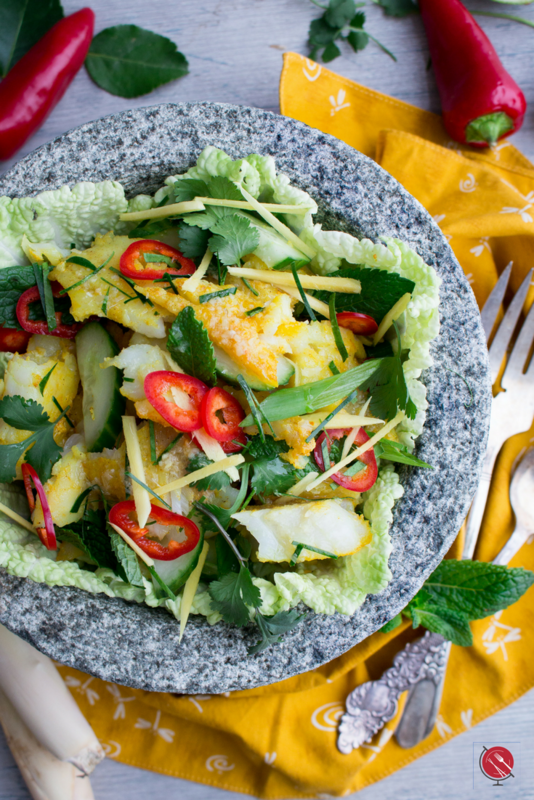 Authentic Thai Fish Salad is spicy, sour, crispy, nourishing, herby, bold and well just darn delicious. 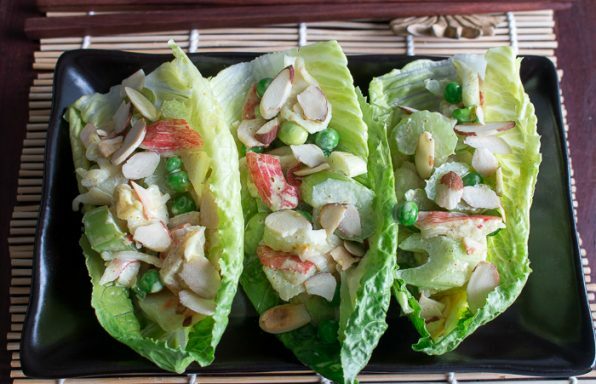 Who said that salads must be ice cold? Who said that salads need to have lettuce in the mix to be a salad. Who says salad must have an acid and oil as the base for a dressing to be a salad dressing? Let’s be a rebel and break all those rules. 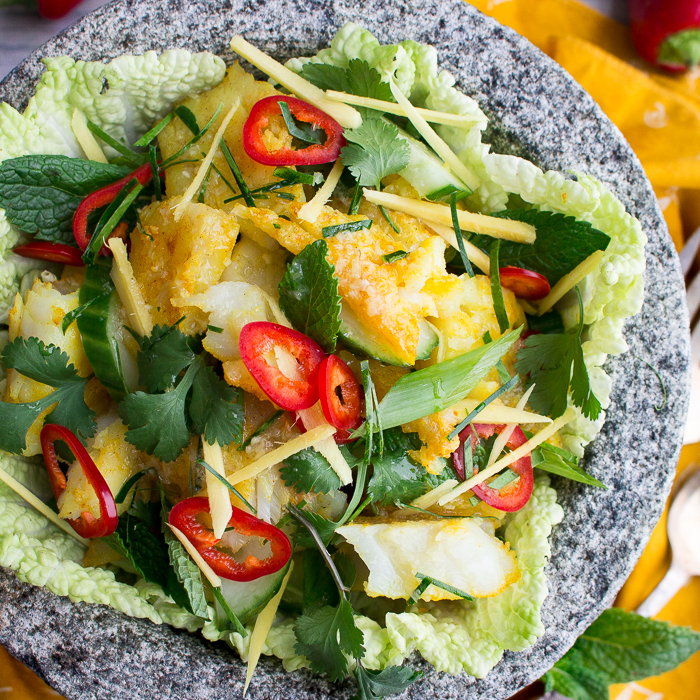 You are just going to love this Authentic Thai Fish Salad as it really is a meal has loads of flavor and will bring a little fun back into your boring salad routine. 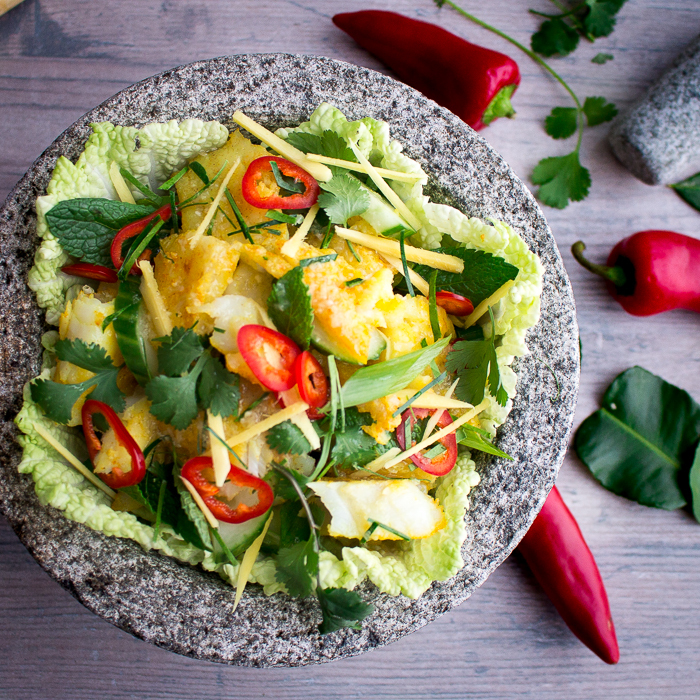 Thai cuisine brings out the harmony of the sour, sweet, spicy and salty for a seriously delicious salad. We seriously think we could eat Thai cuisine every day. How about you? 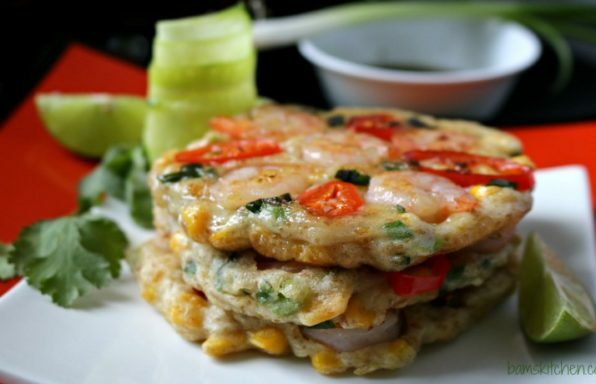 For more Thai dish inspiration please visit our Thai Category Recipe Page. Kaffir Lime leaves - There is really no good substitute for this ingredient but in a pinch you can use lime zest. Thai Bird Chili Peppers - We actually used a Mexican red chili pepper as we could not find bird chilis. You can use any chili pepper you like to add a little heat even a jalepeno. Fish Sauce - You can try steeping tamari (soy)sauce with dried shiitake mushrooms in a pan until aromatic. Can you make this recipe vegan? You bet. The flavor of this salad dressing is dynamo and pairs well with tofu and all kinds of fresh vegetables in exchange for the fish. 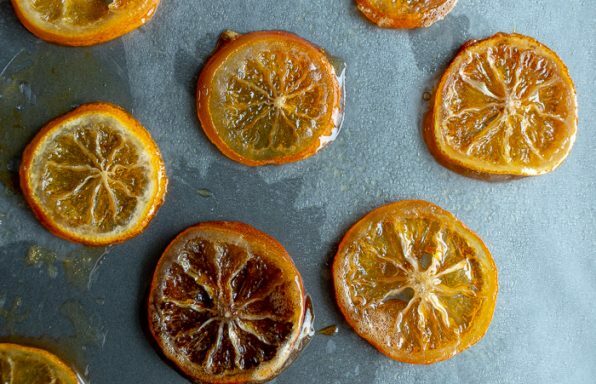 Can you make this recipe in advance? 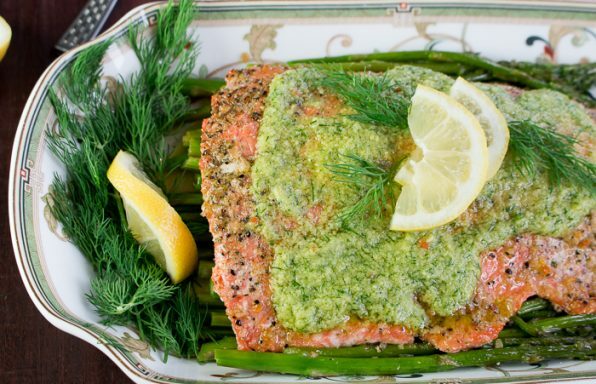 You can grill the fish, make the Thai dressing and cut up the vegetables but wait to add the fresh herbs and dressing until just before you are ready to eat so that your herbs stay fresh and crisp. Healthy World Cuisine has united with a group of very talented food bloggers to be bring you the BEST ASIAN SALAD FEAST PARTY....EVER! Please visit and say hello and check out their delicious recipes. 2Sprinkle both sides of your fish with ground turmeric, salt and white pepper. Grill Fish for about 10-15 minutes (depending on size of fish) or until fish flakes easily with fork. Remove fish from grill and set aside. (If you fish breaks apart awesome as that is one of the next step in to break into bite sized pieces- don’t worry all is well) – Allow to cool a moment so you don’t burn yourself and then break apart to bite sized pieces. Set aside. 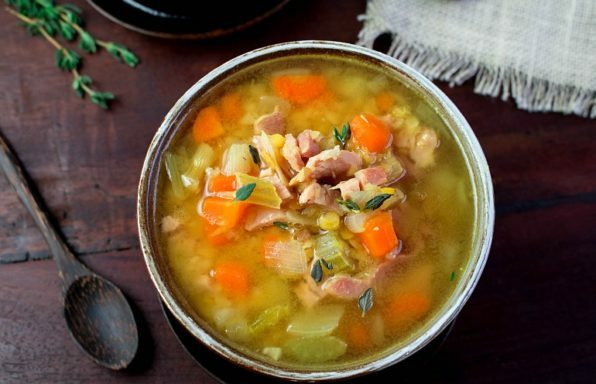 This recipe is served at room temperature. 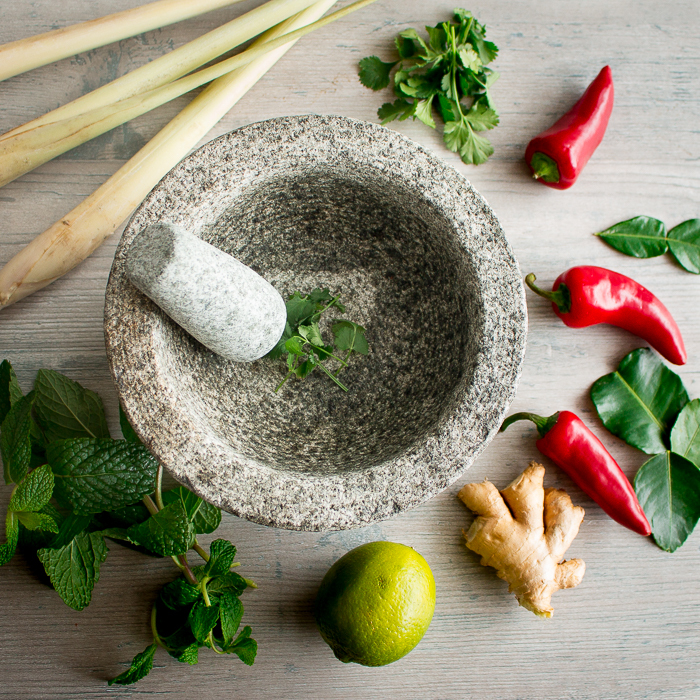 3Make the Thai salad dressing: Add your garlic, shallot, ginger lemongrass, kaffir lime leaves, red chili pepper, lime juice, fish sauce, salt and white pepper, coconut sugar or sugar alternative of choice in a bowl and mix well. 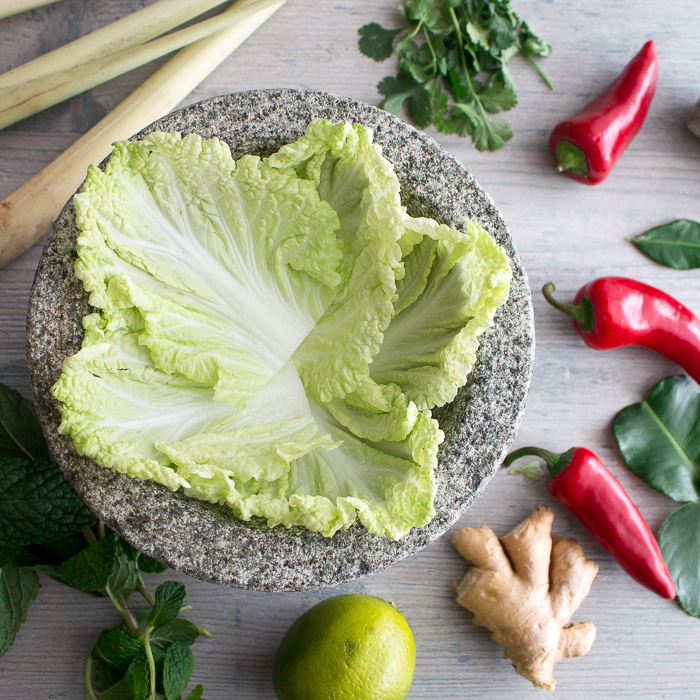 4Line a bowl with a few Chinese Napa Cabbage leaves or lettuce, add your grilled fish, cucumbers, spring onions, mint leaves, cilantro leaves and drizzle with the Thai slad dressing. Very gently toss. 5Garnish with a few sliced chili peppers. Enjoy! To be served at room temperature or can be chilled.